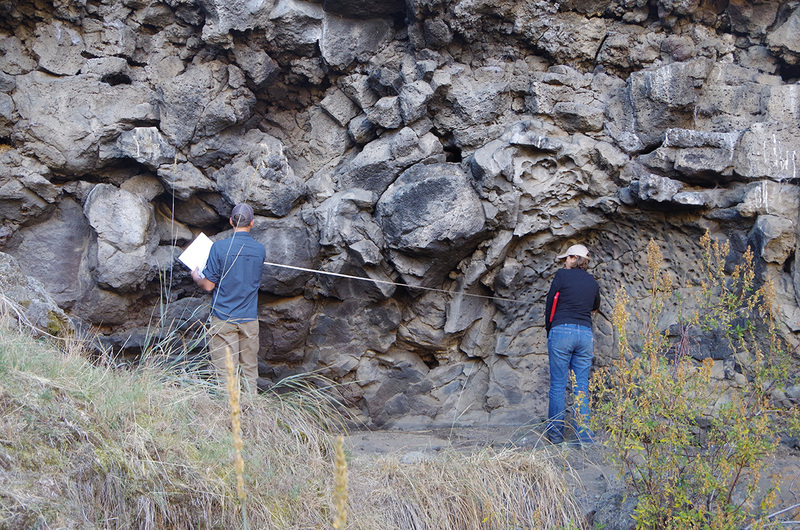 The BLM Prineville District hired Logan Simpson to evaluate the Pictograph Cave site for the NRHP. The site is in south-central Oregon and includes prehistoric pictographs, or painted elements, and petroglyphs (incised images). The site was discovered in 1938 by well-known archaeologist Luther Cressman and has been revisited several times—though none of these resulted in an NRHP determination. Additional tasks included updating the site record, preparing a report, and making management recommendations. 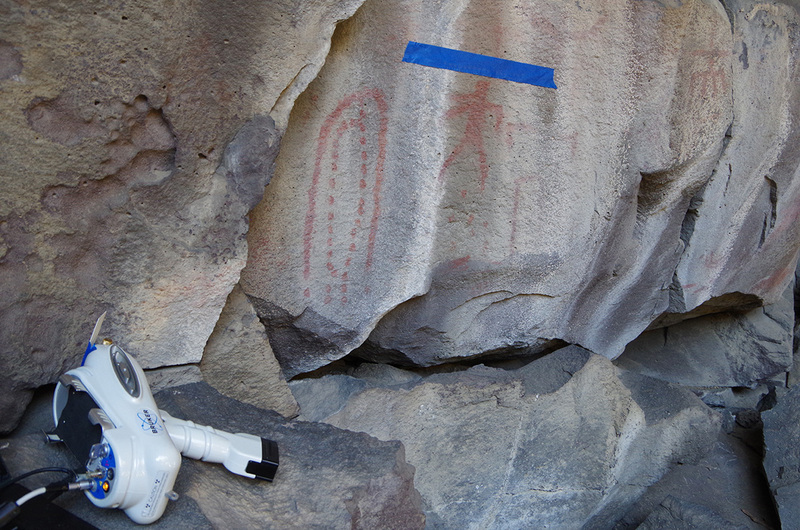 Logan Simpson owns a portable x-ray fluorescence (PXRF) analyzer, which is a unique asset, and as a value-added service we used PXRF to analyze the pictographs. We teamed with Dr. Bruce Kaiser—inventor of the Bruker PXRF system and renowned researcher in nuclear physics—to conduct the PXRF studies. PXRF determined the mineral composition of pigments; helped infer pigment preparation and application techniques; and identified the work of different artists and painting events. 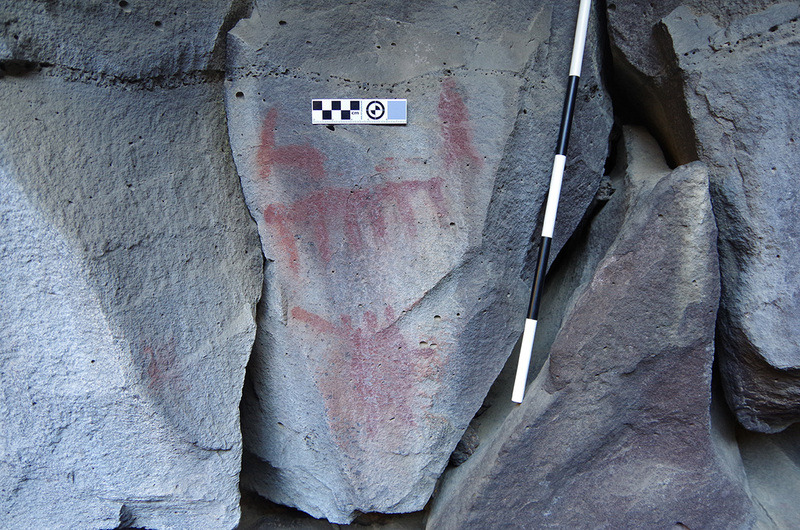 The analysis found that the pictographs were made with berry juice; previous studies have found that pictograph pigments are often made from minerals, such as red ochre, and the use of berries at the Pictograph Cave site is unexpected. Our use of innovative technology offered BLM an additional research avenue and added to the archaeological record of Oregon.